There’s a gem of a movie produced back in 1970 called Little Big Man. Dustin Hoffman, starred in this picaresque comedy about a boy raised by the Cheyenne nation during the 19th century. 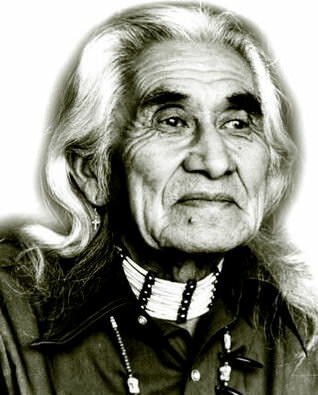 Chief Dan George plays an Indian spiritual leader named Old Lodge Skins. At the end of the movie, the aged, weary leader decides to end his life. He offers his spirit to the Great Spirit in a dramatic tribal dance, then lies down to wait for death. Instead, it begins to rain. Old Lodge Skins sighs and says, “Sometimes the magic works, and sometimes it doesn’t”. When you pursue your life in crescendo, sometimes the magic works and sometimes it doesn’t as well. Sometimes you have to change your paradigm. A great example is the 3M Post It note. In 1968, Dr. Spencer Silver, a chemist at 3M in the United States, developed a “low-tack”, reusable, pressure-sensitive adhesive. He tried to promote his invention within 3M for five years as a new type of bulletin board but without success. In 1974, a colleague of his, Art Fry, used the adhesive to anchor his bookmark in a hymnbook. Four years later the product became a hit in stores, and is now a $300 million business. A final note–the yellow color was chosen by accident; a lab next-door to the Post-it team had scrap yellow paper, which the team initially used. There are countless other examples of pharmaceuticals, electronic goods, and other discoveries that were originally projects with one idea in mind, but became another. As you live your life in crescendo, remember to be flexible. Sometimes the magic works and sometimes it doesn’t. Pay Attention to your Intention! Another great message. Today we hear a lot about start-ups pivoting when the business model and/or product is not working. The fact is, in life we often have to pivot. I have done this a number of times in my career, and find that knowing when to pivot is equally important. Thanks for the reminder.